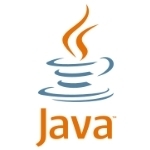 Java is a programming language and computing platform, which powers state-of-the-art programs including utilities, games, and business applications. It allows you to play online games, chat with people around the world, view images in 3D and more. Java software or the Java Runtime Environment, is also referred to as the Java Runtime, Runtime Environment, Runtime, JRE, Java Virtual Machine, etc. It can be managed from the Java Control Panel. 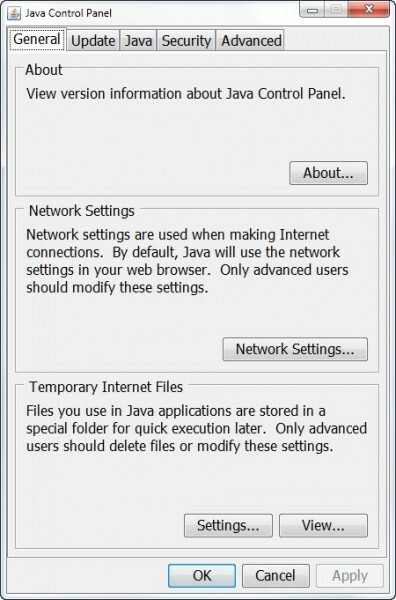 To access the Java Control Panel, open Control Panel and click on Java. Here you will be able to get information on the version number and also View the files. When browsing the internet, whenever your browser uses Java, the Java files are stored in a special folders at for quicker execution later on. To see the location of the folder and other details, click on the Settings button. folder in the JAR format. You can set the compression level for these JAR files and even set the amount to be set aside for storing these files. You can view the files by clicking on the View button. 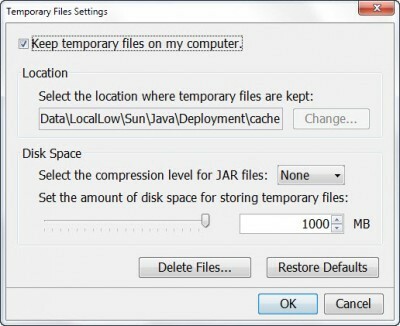 To delete these temporary Java JAR files, click on Delete Files. Now you can select which files you wish to delete and click on OK. The Windows Club java, Windows 7. permalink. I have a load of J Script Script files on my computer, and I can’t open them..Is there a tool or app that can open or convert them to pdf? Thank you. Please I did went to control panel in w7 but I have the icon of java tm, I did click but do not open can you help me to proced and able to eliminate de files thank you my e-mail is w2nqs@comcast.net. 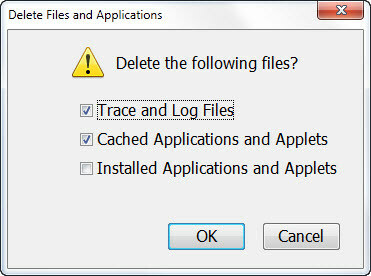 I would suggest the only tip you need is the second one – “Remove temporary Java files”. Except it’s a couple of words too long and should read – “Remove Java”. Seriously, most people don’t even need it on their machines. It’s not been on mine for months now and nothing has failed to work.